In the early 2000s, Arctic Monkeys went from a group of friends playing music together in a sleepy suburb of Sheffield to breaking the record for the fastest-selling debut album in U.K. chart history. Whatever People Say I Am, That's What I'm Not was released in 2006 and sold 363,735 copies in a single week, with Rolling Stone ranking it 30th on its list of the greatest debut albums of all time. Since then, Arctic Monkeys has only gotten bigger and better. The band has released five studio albums to date, has won six Brit Awards and the Mercury Prize, and has been nominated three times for Grammy Awards. Their 2013 release, AM, is also—so far—the best-selling vinyl record of the decade in the U.K. Despite AM's success, Arctic Monkeys haven't yet released a follow-up, though reports have suggested that the currently untitled album will be released this year. And today, rather serendipitously, the band announced that they'll be headlining the Firefly festival this June in Delaware alongside Eminem, Kendrick Lamar, and the Killers. This will be the band's first show in more than three years. The band's style is often described as an eclectic blend of indie, desert rock, psychedelic rock, and garage, with steady basslines and the layered guitars of Alex Turner and Jamie Cook. In the video above, Joe puts together his best approximation of how to nail the sound of some of the band's signature tunes, like "One for the Road," "Crying Lightning," and "Do I Wanna Know?" 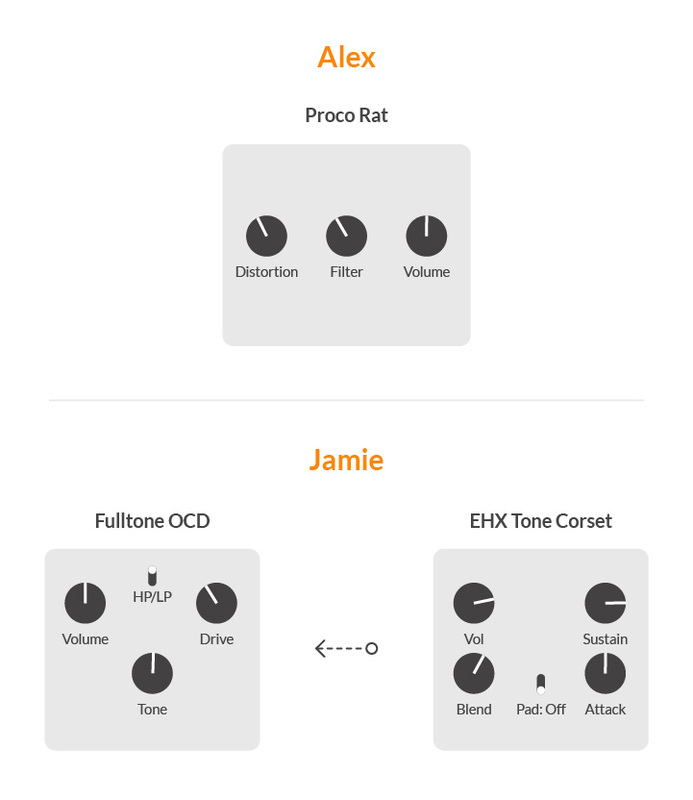 Play along with Joe above, and click on any of the pedal graphics below to check out live new and used listings on Reverb. "I Bet That You Look Good on the Dancefloor"